Mr. Malick served in the Army during the Vietnam War, where he attended Airborne School. After being discharged, he earned his pilot's license, which he was very proud of. Mr. Malick also worked for many years at Cambridge Wire Cloth as a Mechanical Engineer. On June 25, 2017, at 0906 eastern daylight time, an experimental light-sport Buckeye Powered Parachutes Dream Machine 582, N50130, was substantially damaged when it impacted power lines and terrain during takeoff near Federalsburg, Maryland. 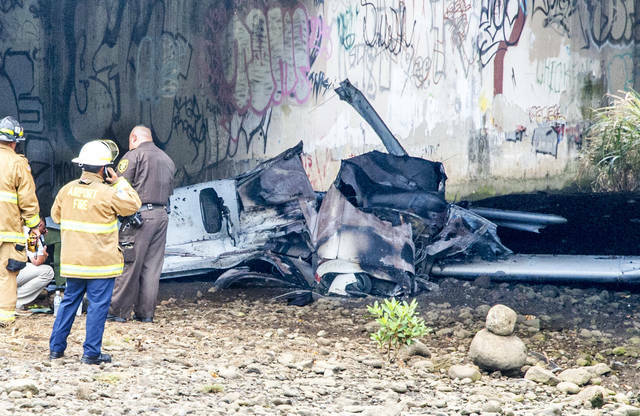 The commercial pilot was fatally injured. The powered parachute was owned by the pilot who was operating it under the provisions of Title 14 Code of Federal Regulations Part 91. Visual meteorological conditions prevailed, and no flight plan was filed for the local personal flight that was originating from the pilot's private airstrip at the time of the accident. A neighbor assisted the pilot with the unfurling of the aircraft's parachute wing and watched the accident flight. He stated that it was the pilot's first solo flight in a powered parachute. According to the witness, the pilot taxied into position for takeoff to the north from the turf runway designated as runway15/33. The pilot "gave more throttle" after liftoff, and the aircraft turned left. 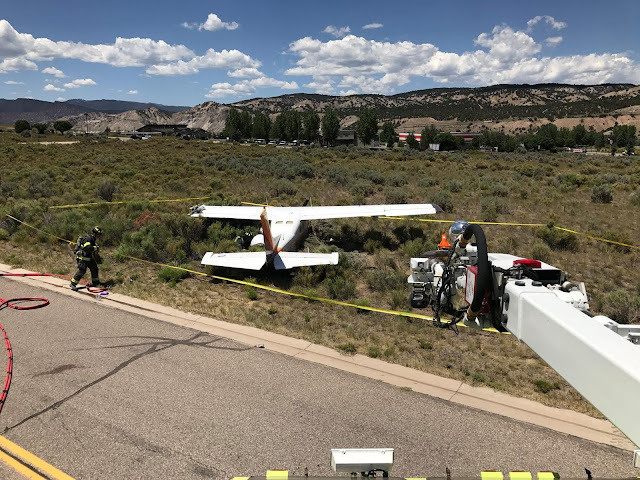 The aircraft climbed to about 35 ft above ground level, turned about 60° to the left, and collided with a power line that was about 245 ft left of the runway centerline. 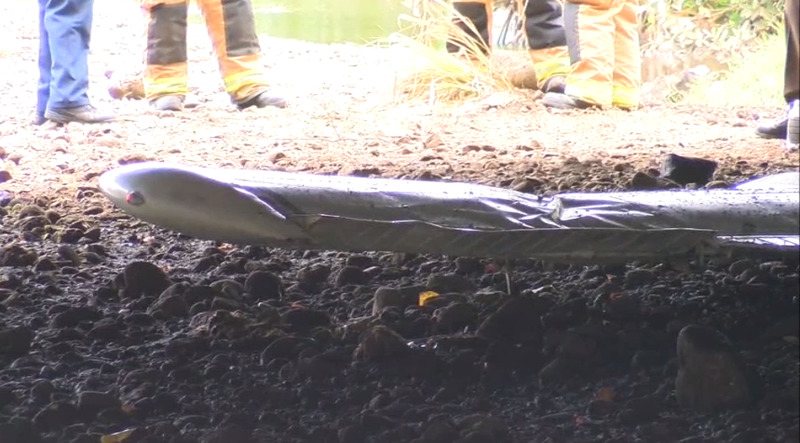 The power line was located along a roadway that ran about parallel to the airstrip. According to the witness, during the entire flight, the engine sounded smooth, continuous, and "normal" with no interruption of power. 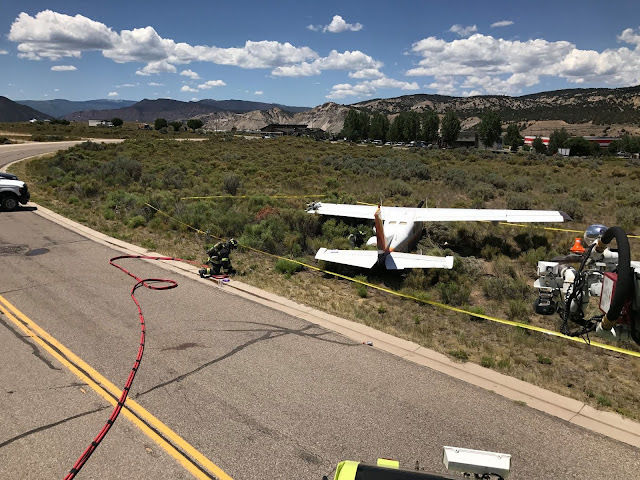 The aircraft struck the wires on the near side of the roadway; the pilot was ejected; and both the pilot and the aircraft came to rest on the far side of the road. The pilot held a commercial pilot certificate with ratings for airplane single- and multi-engine land and instrument airplane. He also held flight and ground instructor certificates. His most recent Federal Aviation Administration (FAA) third-class medical certificate was issued March 27, 1984, and he reported 400 total hours of flight experience on that date. 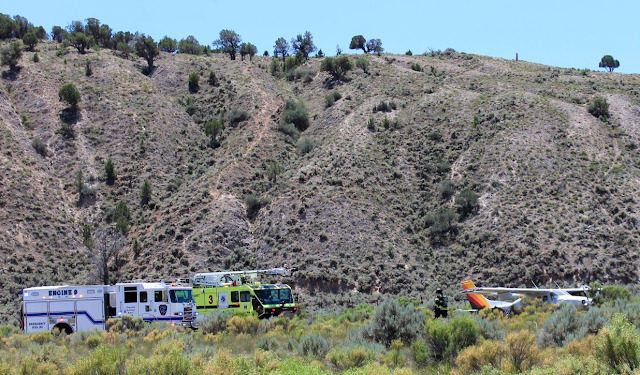 The medical certificate was no longer valid for operations requiring a medical certificate; at the time of the accident, the pilot was operating an aircraft that did not require a medical certificate. Examination of the pilot's logbook revealed a single entry for an instructional flight in a powered parachute; the 1.2-hour flight took place on February 22, 2016, in Dunnellon, Florida. The logbook also had entries for 6.5 hours of powered-parachute ground instruction in July 2016. There was no solo endorsement for powered parachutes in the logbook. 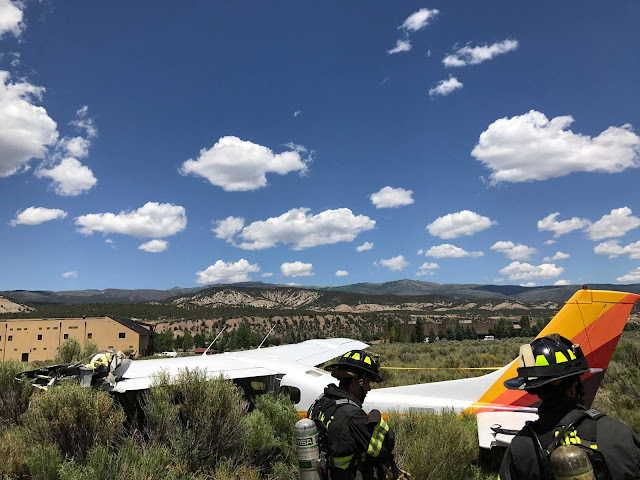 The pilot's friend reported that the pilot had flown a powered parachute with a flight instructor once in Virginia and once more recently in New Hampshire. The single-engine, tandem-seat, tricycle-gear powered parachute was manufactured in 1995 and was powered by a 66-horsepower Rotax 582 engine. 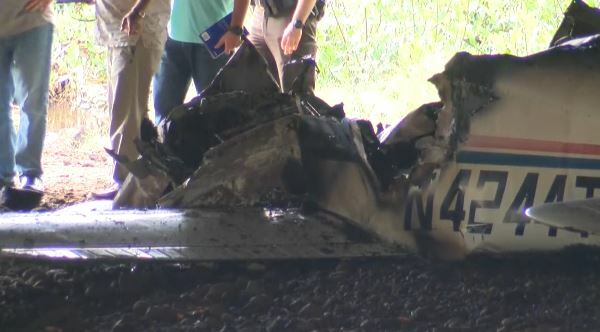 The maintenance records for the aircraft were not located during the investigation, and the maintenance history of the aircraft could not be determined. The pilot registered the powered parachute in October 2014. At 0845, weather conditions reported at Easton/Newnam Field Airport (ESN), Easton, Maryland, 12 nautical miles northwest of the accident site, included scattered clouds at 7,000 ft, visibility 10 statute miles, and wind from 330° at 4 knots. The temperature was 25°C; the dew point was 19°C; and the altimeter setting was 30.05 inches of mercury. 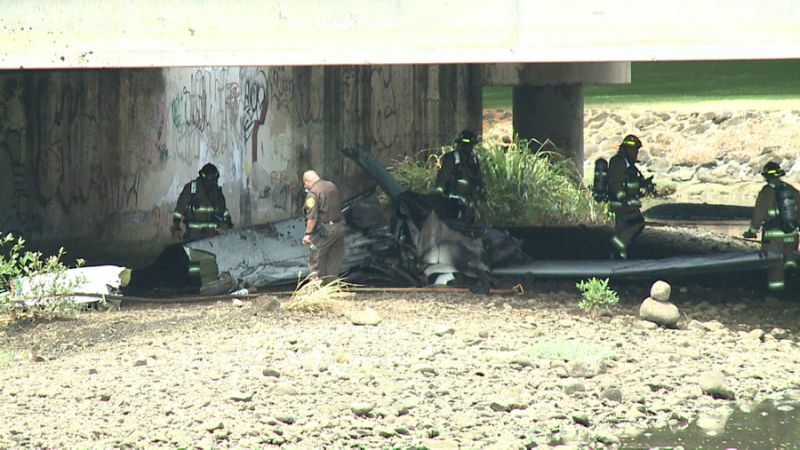 The powered parachute came to rest upright, and, except for some structural tubing and landing gear that were fractured, it remained largely intact. All structure and components of the powered parachute were accounted for at the accident site. Flight and engine control continuity were confirmed, and the engine was secure in its mounts. The parachute and lines were adjacent to the airframe. The blades of the three-bladed propeller were fractured near their roots, and the propeller hub was securely mounted to the crankshaft. All fuel lines remained connected and intact. Fuel was observed in the fuel tank, and there was no evidence of fuel leakage anywhere in the fuel system. 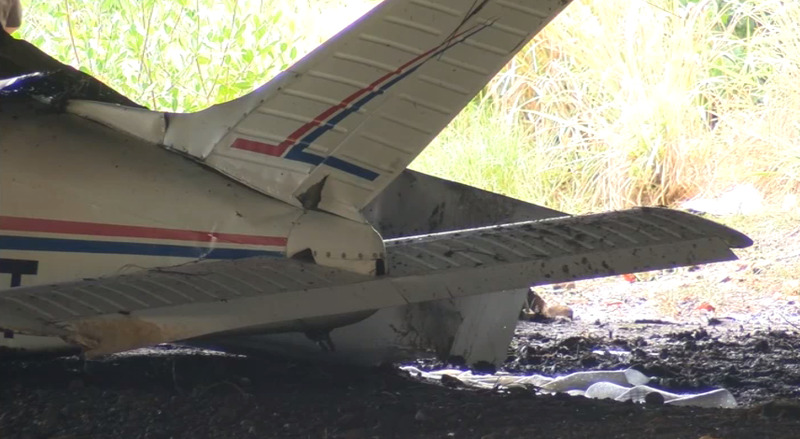 The pilot's lap belt was found unfastened, undamaged, and unstretched. The battery was out of its tray, and the positive lead was disconnected. The aft carburetor was separated from its rubber intake manifold/mount. An FAA aviation safety inspector supervised the reinstallation of the battery to its tray and the carburetor to its mount. A test run of the engine was then performed at the accident site on the airframe. The engine started immediately, and it ran smoothly and continuously with no anomalies noted. The Office of the Medical Examiner, Wilmington, Delaware, conducted an autopsy of the pilot. The cause of death was listed as multiple blunt force injuries. The FAA Bioaeronautical Sciences Research Laboratory, Oklahoma City, Oklahoma, conducted toxicology testing and detected the following medications: albuterol (used to treat wheezing), furosemide (used to treat fluid overload), valsartan and metoprolol (used to treat high blood pressure), warfarin (a blood thinner), pravastatin (used to treat high cholesterol) and naproxen (an over-the-counter pain medicine). None of these medications are considered impairing. Additionally, the toxicology testing detected the antidepressant paroxetine and the central nervous system depressant anticonvulsant/anti-tremor medication primidone and its metabolite phenobarbital. Due to the potentially impairing effects of paroxetine, it is not one of the FAA's approved antidepressants. Medical conditions that require treatment with primidone are often impairing as are the treating medications, and pilots with these conditions or using this medication are advised not to operate airplanes. According to the pilot's personal medical records, his active medical conditions included: adult onset diabetes treated with insulin; coronary artery disease treated with a 5-vessel bypass in 2003; placement of an internal defibrillator/pacemaker in 2011 for atrial fibrillation, which was also treated with warfarin; cardiomyopathy and congestive heart failure treated with furosemide and metoprolol; high blood pressure treated with valsartan; depression treated with paroxetine; elevated cholesterol treated with pravastatin; and chronic obstructive pulmonary disease treated with albuterol, budesonide, and formoterol. Additionally, he had a tremor treated with primidone daily since 2015. The records did not include a recent assessment of the pilot's depression or discuss any side effects from the primidone. On June 25, 2017, at 0906 eastern daylight time, an experimental light-sport Buckeye Powered Parachutes Inc. Dream Machine 582, N50130, was substantially damaged after it impacted power lines and terrain near Federalsburg, Maryland. 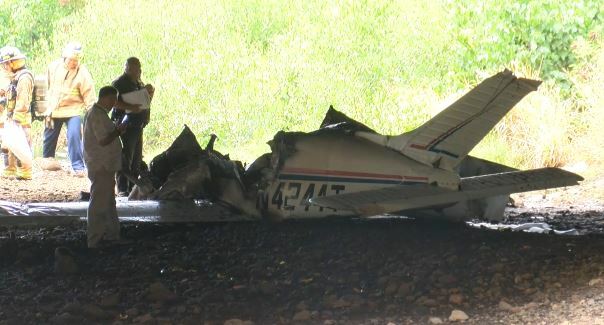 The commercial pilot was fatally injured. 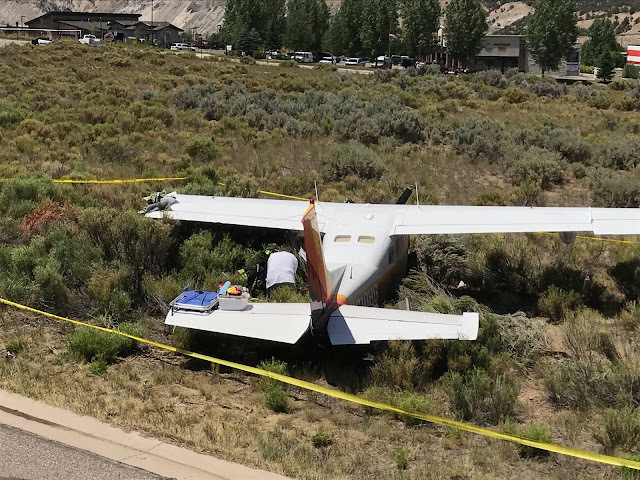 Visual meteorological conditions prevailed and no flight plan was filed for the flight that originated from a private airstrip, at the time of the accident. The local personal flight was conducted under the provisions of 14 Code of Federal Regulations Part 91. A neighbor and friend assisted the pilot with the aircraft and watched the accident flight. He provided a written statement and was interviewed at the scene. According to the witness, the pilot taxied into position for takeoff to the north from his turf airstrip, which was orientated 33/15. The pilot "gave more throttle" after liftoff and the aircraft turned to its left. The aircraft climbed to about 35 feet above ground level, turned approximately 60 degrees to the left, and collided with the wires along the roadway which were about 245 feet left of the runway centerline. During the entire flight, the engine sounded smooth, continuous, and "normal" with no interruption of power. The aircraft struck the wires on the near side of the roadway, the pilot was ejected, and both the pilot and the aircraft came to rest on the far side of the road. In a written statement, a neighbor reported she watched the initial ground run of accident aircraft "parallel to the road," and believed it might be a "4-wheeler or something." When she looked again, she saw the aircraft in flight, and watched as it collided with power lines that ran along the roadway. The aircraft came to rest upright, and except for some structural tubing and landing gear which was fractured, it remained largely intact. Flight and engine control continuity was confirmed, and the engine was secure in its mounts. The blades of the three-bladed propeller were fractured near their roots, but the propeller hub was securely mounted to the crankshaft. The battery was out of its tray, and the positive lead was disconnected. The 'aft' carburetor was separated from its rubber intake manifold/mount. All fuel lines remained connected and intact. 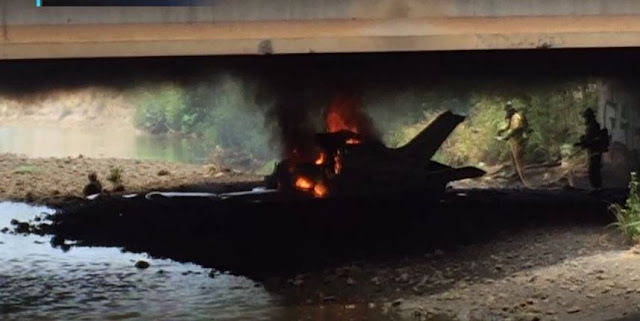 There was no odor of fuel, and no evidence of fuel leakage anywhere in the fuel system. A test run of the engine revealed that it ran smoothly and continuously with no anomalies noted. 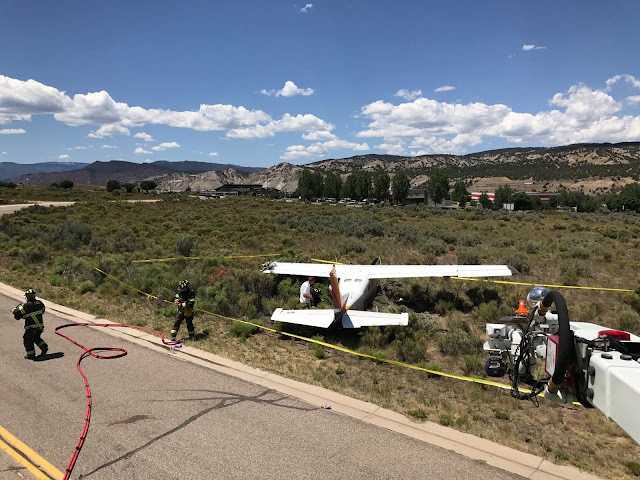 The pilot held a commercial pilot certificate with ratings for airplane single engine land, airplane multiengine land, and instrument airplane. His most recent Federal Aviation Administration (FAA) third-class medical certificate was issued March 27, 1984, he reported 400 total hours of flight experience on that date. Examination of the pilot's logbook revealed a single entry which reflected an instructional flight of 1.2 hours in a powered parachute. He annotated 6.5 hours of ground instruction in July 2016. There was no solo endorsement for powered parachutes annotated in the logbook. The tandem-seat, parachute-wing, tricycle-gear aircraft was manufactured in 1995 and was powered by a Rotax 582, 66-horsepower engine. The maintenance records for the aircraft were not located during an extensive search, and therefore the maintenance history of the aircraft could not be determined. At 0845, weather conditions reported at Easton/Newnam Field Airport (ESN), Easton, Maryland, 12 nautical miles northwest of the accident site included scattered clouds at 7,000 feet, 10 statute miles of visibility, and wind from 330° at 4 knots. The temperature was 25° C, the dew point was 19° C, and the altimeter setting was 30.05 inches of mercury.